You used to go hiking on your own, but nowadays you have a partner and kids and they want to come along outdoors? No need to break the bank and buy more gear - this equipment works well for the Solo Backpacker that wants to take a friend along - or two! Ten years ago I was mostly backpacking on my own. Even when out with friends, we usually each had our own tarp or shelter, an own stove, and so on. Then I met my wife, we had two kids, and now we once or twice a year go out camping as a family. As the kids are still small it are easy affairs with short hikes, lots of snacks and play time, and pretty much only in warm, comfortable weather. Many of my readers are in a similar situation, and as gear nerds the question comes up: “Which equipment can I use for myself on a Solo trip AND also use when out with the family?”. Over the past seven years I have done plenty of research, trial and error, and this are my findings on how to scale gear from 1 Person to 3 Persons or more. When I’m out on my own I value space in a shelter. That’s dry space, protected at a minimum from rain and wind, and possibly even from bugs and moisture from the ground. Shelters which adapt well from one person to two or more are Pyramid shelters in my experience. The main benefit is that even large, spacious Pyramids can be very light - like the Hyperlite Mountain Gear UltaMid, the Locus Gear Khufu or the Mountain Laurel Designs TrailStar. If I use these on my own they are a little palace with all the space I want, though if my wife, a friend or a child is along we also both, with our backpacks and equipment, still fit comfortably into these shelters. Now if we’d go backpacking with the whole family we would need to size up - either to a larger Pyramide (like the UltaMid 4) or to two shelters where one adult sleeps with one child. These shelters have the option to get an inner for insect and ground protection, which is useful if the mosquitos and other bugs are out. 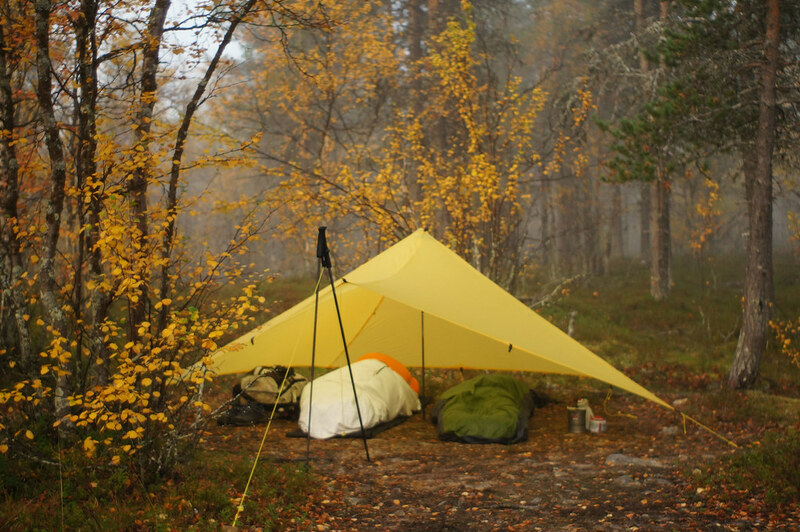 The biggest advantage to these kind of shelters is that they are very light in comparison to other options - a Pyramide can be around 500 g if made from Silnylon, and even lighter when made from Cuben (or Dyneema Composite Fabric as it is known nowadays). Lighter, but usually with less protection, are only Tarps. These offer beautiful views in good weather, but also their openess can be discomforting to those who are not used to sleep truly outside, so I wouldn’t recommend them for starters. 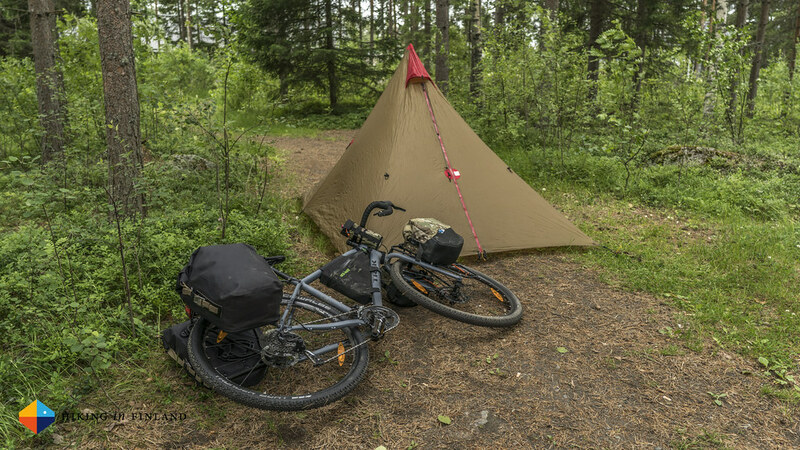 An alternative to Pyramide-Style Shelters are tents. These are heavier, but come with an inner and outer, so insect protection is included, and one has a clean floor, too, which is useful when one has small kids which like to put everything into their mouth. Also, happily many tent manufacturers have realized that not all tents have to be blizzard-proof winter bunkers. 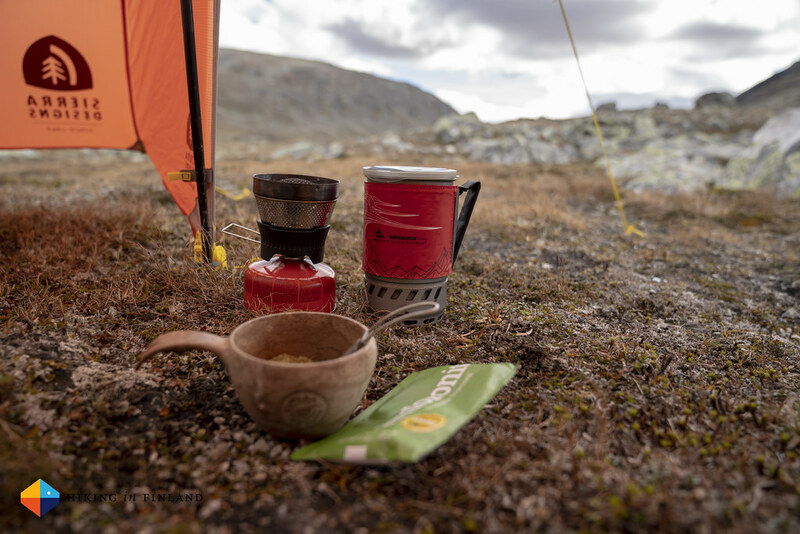 As a Helsport Ambassador I really like the Lofoten Superlite Camp 3 which is also the tent I used on my last two week-long backpacking trips with my best friend. 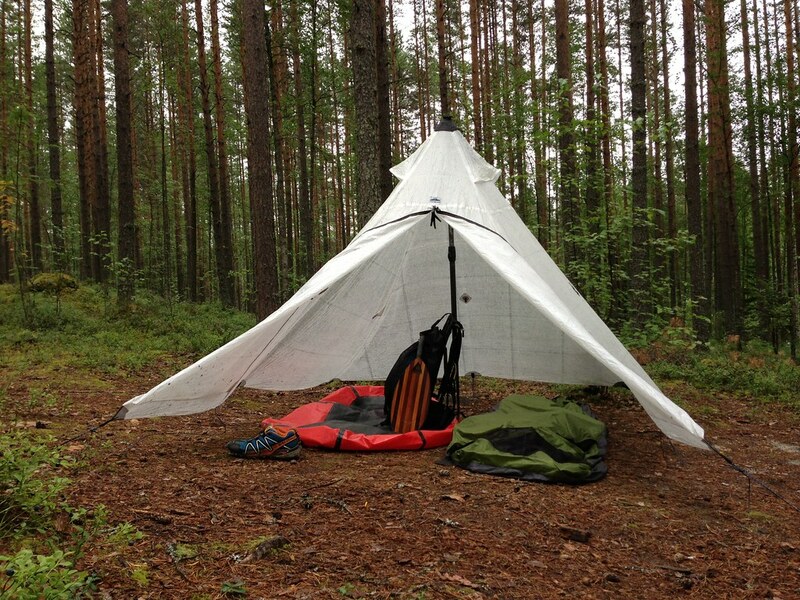 This tent can sleep three and weighs around 2 kg, which is really great. It also has a large porch where gear can be stored and food be cooked, and in bad weather one also could play there. 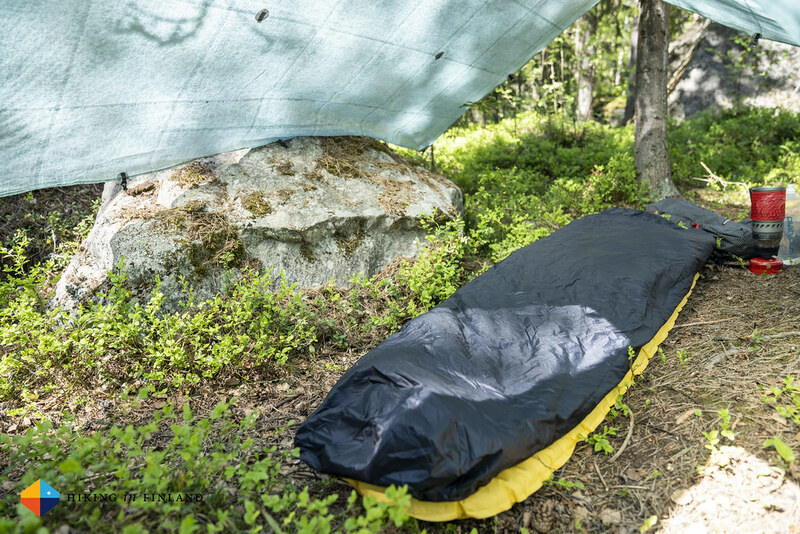 While maybe a bit too heavy when backpacking alone (there’s so many great 1P Tents available athat are around 1 kg or less heavy) if you want a tent which can accommodate more when needed, a tent like the Lofoten Superlite Camp 3 is a really good option. Stoves are tricky, especially if more than two persons are trekking together. I own several stove systems and on the trips with my best friend we always use together one of these gas stoves, where the pots have a volume of up to 700 ml. This has worked perfectly for us the last seven years, and of course when I’m on my own using one of these it is perfectly fine, too (then I can boil the water for a coffee and Porrige in one go!). Also when out with three or four I think such a “Solo” Stove works well for a group up to four, as in that case one just boils two times - first the water for the kids, then the water for the parents. This obviously only works when one uses Dehydrated Meals, which in my experience again is fine for kids, too (especially if they get a tasty treat afterwards). Not having dishes to clean is wonderful, and eating out of the bag can be novel and fun for small adventurers. So using a Solo Stove System like the MSR Windboiler, Jetboil MiniMo, GSI Outdoors Halulite Microdualist Complete Stove or Primus Lite+ works great on Solo trips and with up to three more friends. After that, or if one really wants to cook (and do the dishes! ), it is better to use a larger stove and pot combo. Or, if one is fortunate to be hiking in Finland and is staying at a campsite with a fire place, one could just bring a large Titanium or Aluminium pot which can be used over the fire to boil water for all or cook. 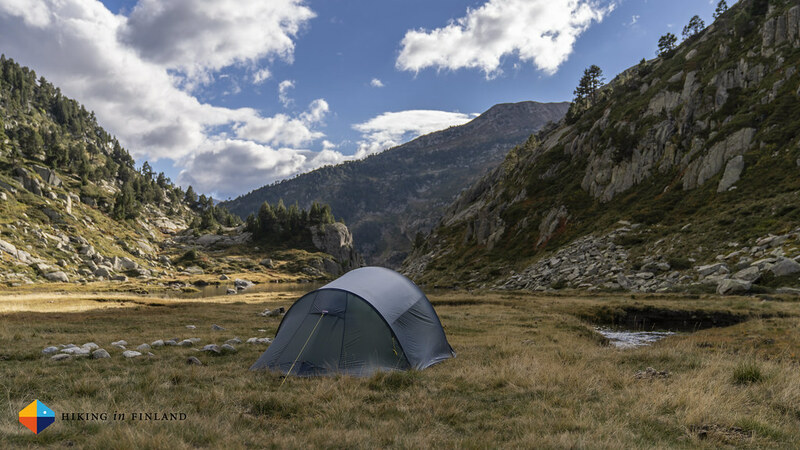 Getting an additional sleep system (so a mattress and a quilt or sleeping bag) for your partner or kids is necessary - unless you’re an Ultralight Backpacker which owns a combination of quilts and sleeping mattresses for different seasons. In that case the really warm winter quilt + mat go to the partner or child, the second warmest setup goes to a child, and you yourself use the lightest summer setup - and if it is a wee bit colder, just wear a warm fleece pants & jacket and you’re fine. As I’m such a gear nerd that I own several mattresses and quilts this method has worked really good for us and we could avoid buying quilts and mattresses for the kids thus far - especially since they are only a night or three out per year, I wouldn’t want to invest money into gear that gets used so little and possibly gets to small in a year or three. It’s much better to have them use the adult setups - this saves money for nice treats or trips (or most likely, both!). We each own our own water bottles but we share one water filter. 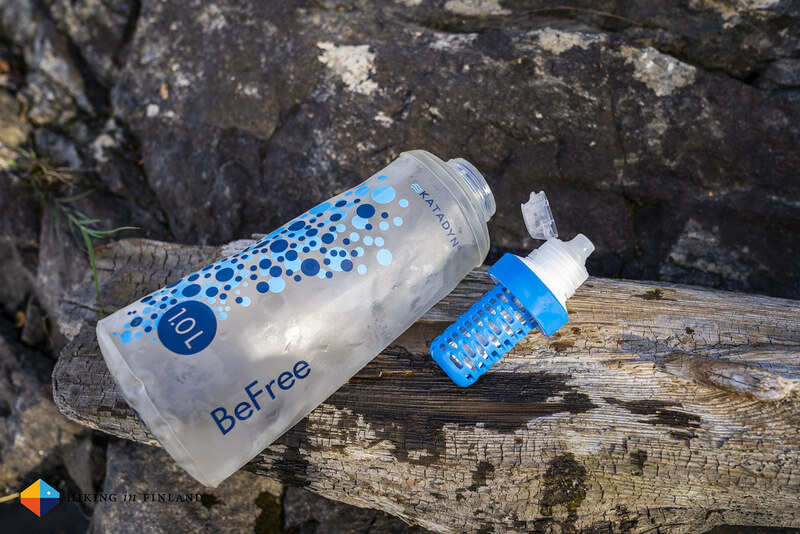 I don’t want to spend 60€ on an additional filter - and truth be told, the Katadyn BeFree has such a high flow rate that it’s fast enough to fill up four bottles in a 5 Minute break. Now backpacks can not really be “scaled” BUT you can own a backpack which easily can fit more gear - as you likely will make the hike for your partner and/ or kids as comfortable as possible and carry some of their equipment. 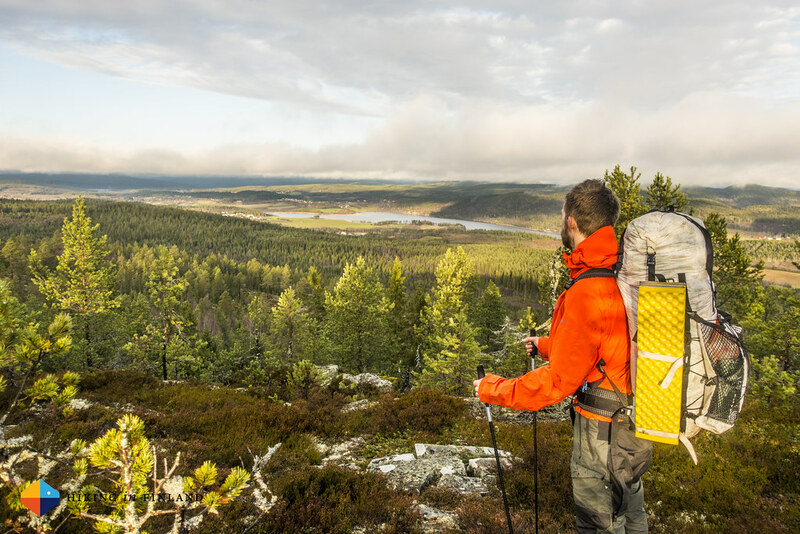 A rucksack with an expandable rolltop closure - like in many Hyperlite Mountain Gear backpacks - and a good compression system - like the ULA Ohm - makes it easy to have one backpack which works well with smaller solo backpacking loads and larger two, three person loads. This is something to keep in mind if you’re buying a pack - will you need to carry just your gear, or also the gear of another person on occassions?